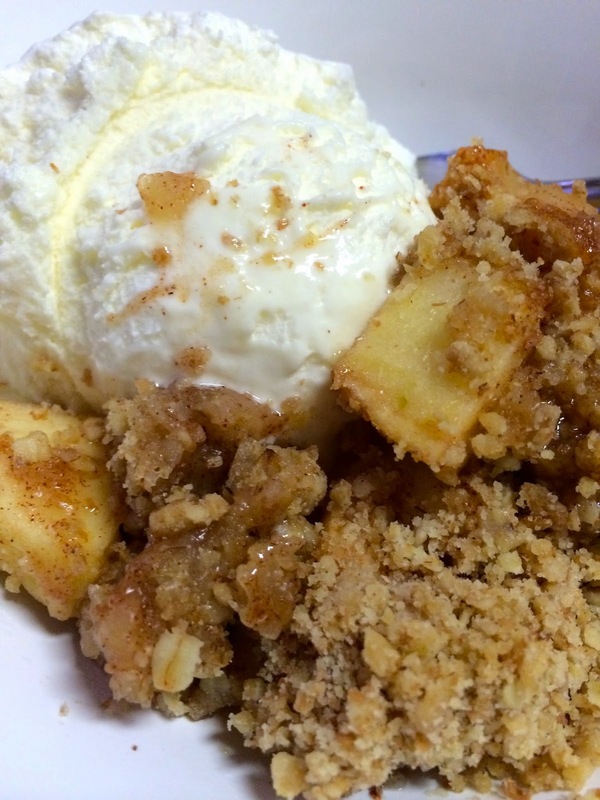 It's getting colder, and becoming more like fall weather - perfect time for apple crumble! 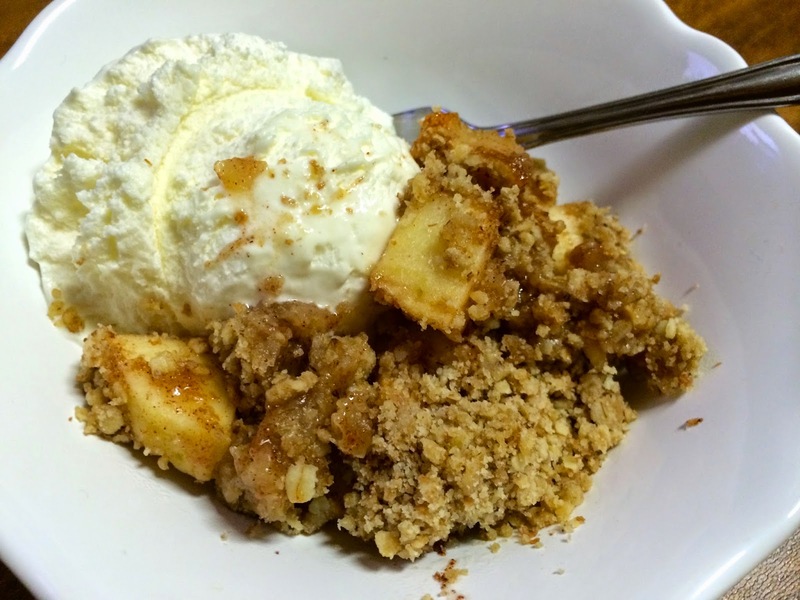 I love this recipe because it is quick, simple and delicious! *4 to 5 large or 6 to 7 medium or 8 to 9 small apples, Granny Smith apples or Golden Delicious apples are recommended but not required, I used Royal Gala. Peel and chop the apples into little pieces. 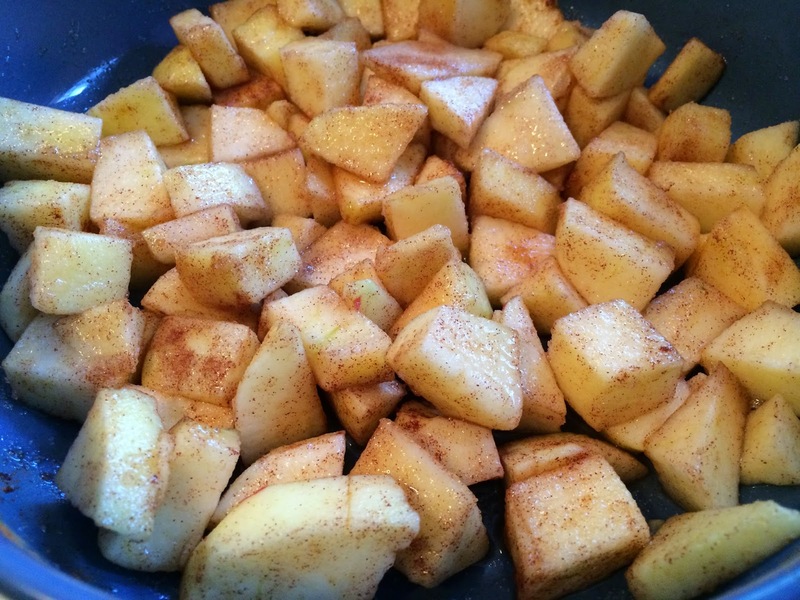 Combine the apples with granulated sugar, cinnamon and 1/8 teaspoon of salt in a large bowl. Stir to coat the apples in this mixture. 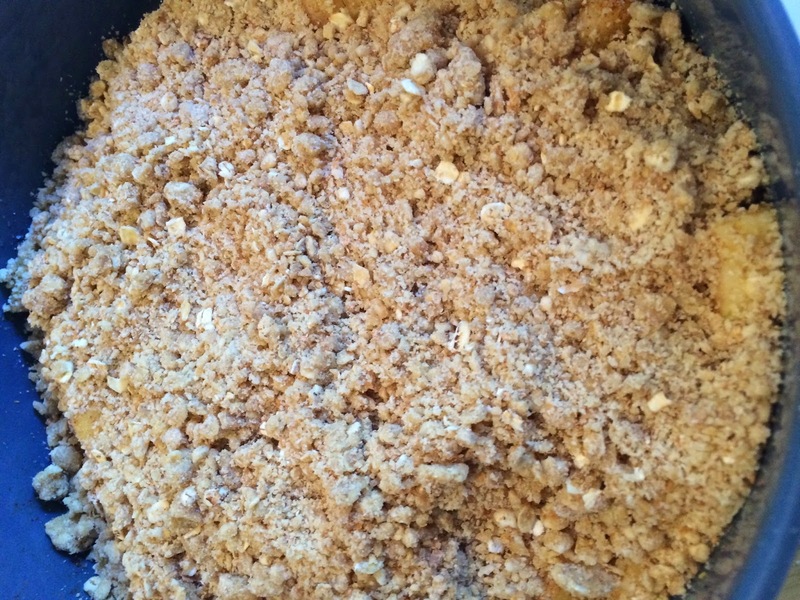 Place the apple mixture into an 8 x 8 baking dish. 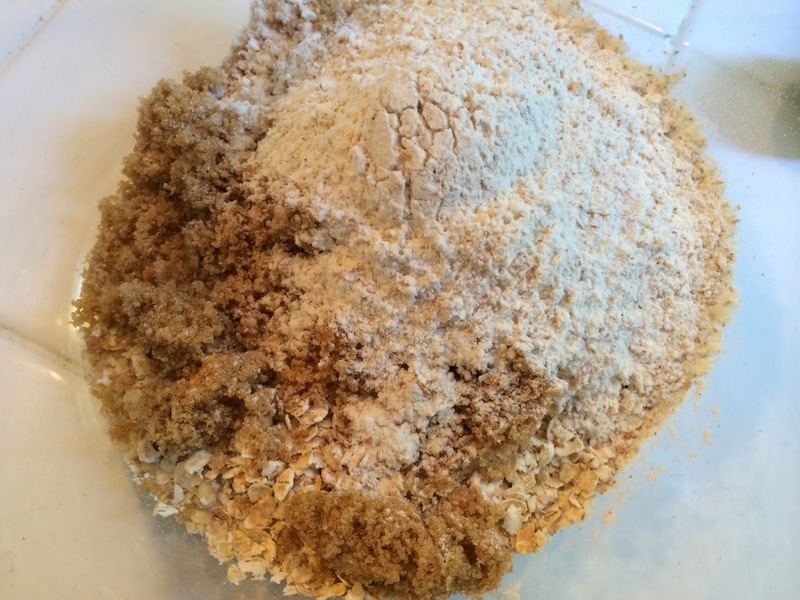 In another bowl, combine the brown sugar, oats, flour, and 1/8 teaspoon of salt together. Add the cold butter, cut into smaller pieces. 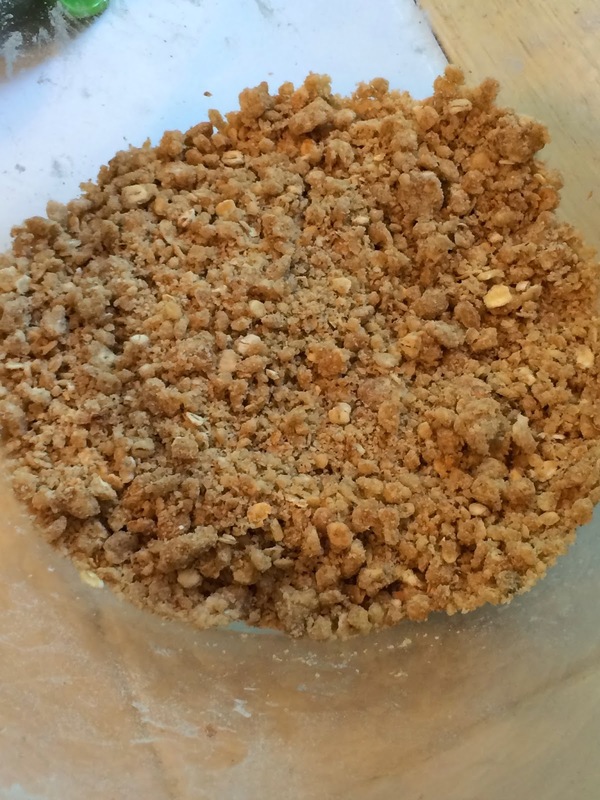 With your fingers, rub the butter into the oat crumble mixture, until incorporated or in little clumps. Pour this mixture over the apples evenly. Bake for 50 to 60 minutes, or until golden.